Weight is the enemy. Excess weight in a car dulls its responses, makes it harder to turn, stop and accelerate, ensures that it drinks more fuel and puts greater stresses on virtually every moving part, parts which then have to be beefed up and made heavier to cope. The Mazda MX-5 reverses that cycle, stripping weight off which in turn allows it to pare more weight back with other simple lightweight componentry. It's a brilliant piece of engineering. It also goes to show that you can probably have more fun with 1.5 litres worth of MX-5 than you can with some supercars. No, that's not hyperbole. Try it and you'll see. If you measure your cars in terms of smiles per mile, the MX-5 has to be right near the top of your shortlist. Is there another car sold today that rivals the Mazda MX-5's legacy? The Porsche 911 is an icon and the Toyota GT86 might well become one. The Volkswagen Golf is a name most can identify with, but the MX-5 is special. It has rewritten the record books again and again for sports car sales and its recipe of light weight, driver focus and simple front engine and rear drive layout just has an inherent rightness about it that hasn't dated. But, as is the case with most cars, successive generations get bigger and heavier. The MX-5 hasn't been immune to this issue, customers demanding improved safety, more equipment and better quality as each successive generation has been developed. With this MK4 model though, Mazda has drawn a line in the sand and gone back to what made the MX-5 so great in the first place. The fourth generation car has gone back to basics and is all the better for it. This rejection of a 'more is better' philosophy is a bit of a running theme throughout this 'ND' MX-5. 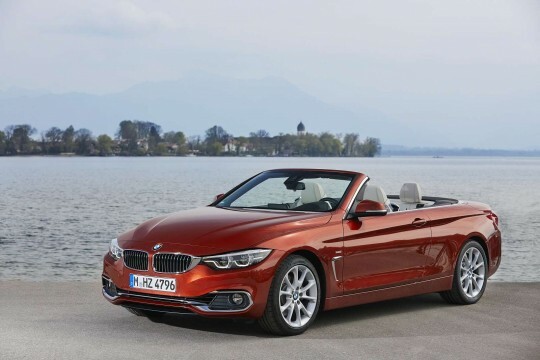 The car's offered with either a 1.5-litre 131PS engine or a 2.0-litre 160PS unit. Mazda's chassis engineers will steer you to the 1.5-litre powerplant as they feel it's the purest specification for the MX-5 and also the lightest, tipping the scales at around the tonne. That makes this the lightest MX-5 since the original first generation 'NA' car of the Nineties. This fourth generation design conforms to five key criteria that Mazda claim define the MX-5 - rear drive with a front-mid engine layout, 50/50 weight distribution and an eagerness to change direction, plus a low kerb weight and an affordable price. All models get six-speed manual gearboxes. The MX-5 isn't about straight line pace, it's about agility and tactility. Because the engines are smaller than their predecessors, this allows them to be tucked down and back in the car. That means they can be set 13mm lower and 15mm further back than on the previous car. Mazda reckons the bonnet and overhang used here are the lowest and shortest of any production model. Weight has been pared back by using aluminium for the bonnet, boot and front wings, while the soft top hood is also lighter, improving the centre of gravity. Much of the front suspension is aluminium, as is the gearbox casing, the differential casing and the bracing that runs down the car's backbone. The virtuous circle of weight saving means that the smaller wheels only need four bolts as opposed to five. Lower rotational masses mean that the brake assemblies can also be made smaller, simpler and lighter. The shape of the MX-5 hasn't changed radically from generation to generation. This one's no exception, but there's a bit more aggression about the detailing, the car looking like a shrunken Jaguar F-Type roadster from the rear three-quarter. Some have thought there's something a bit fishy-looking about the front end but it'll probably grow on you. See one in the metal and you'll be amazed at just how tiny it is. It's fully 105mm shorter in overall length than the outgoing version, despite the wheelbase only being 15mm less. It also stands 20mm lower and 10mm wider. Lower and wider is always good for a roadster's stance. In another clever touch, the seat cushions are supported on netting instead of the usual metal springs, allowing Mazda to reduce weight and seat the driver's hip point closer to the road. A lower driver then means the windscreen header rail can shift backwards, in this case by 70mm, which in turn means the hood is shorter and lighter, and also easier to package when folded. See what we mean about that virtuous circle? Given that there's only one bodystyle, one engine and two gearboxes, there are quite a few MX-5s to choose between. Mazda offers the car in four trim levels, SE, SE-L, SE-L Nav and Sport, with all three being offered with the 1.5-litre engine and the latter pair teamed with the 2.0-litre lump. Prices start at around £18,500, with 2.0-litre models costing from just over £20,000. The MX-5 gets alloy wheels, LED headlights, a leather steering wheel, plus a lightweight and sleek fabric hood. SE-L models add LED daytime running lights, climate control air-conditioning, DAB radio, Bluetooth and cruise control, plus Mazda's MZD-Connect connectivity and infotainment system with 7-inch colour touch-screen display and Multimedia Commander. SE-L models with the 2.0-litre 160PS engine get gunmetal 17-inch alloy wheels and piano black door mirrors, as well as benefiting from a strut tower bar and limited slip differential. No prizes for guessing what SE-L Nav models include. Step up to Sport trim and both the 1.5 and 2.0-litre cars feature rain sensing wipers, rear parking sensors, smart keyless entry, Premium Bose Surround-Sound and heated leather seats. With the 1.5-litre engine, Sport trim MX-5's come with 16-inch gunmetal alloy wheels and piano black door mirrors. Sport models with the 2.0-litre engine get sports suspension featuring Bilstein dampers, a limited slip differential and strut tower bar, and can be identified by their 17-inch alloy wheels and body coloured mirrors. Stick with light weight and modest power outputs and this dictates a raft of affordable costs. The MX-5 has long been the exemplar of the affordable sports car and emissions are agreeably low, the 1.5-litre engine pegged at 139g/km and the 2.0-litre 161g/km. The old car was no great shakes in terms of efficiency. In fact the old 2.0-litre emitted 181g/km, worse than 204bhp worth of BMW 523i, so it's good to see Mazda sharpening up their act in that regard. 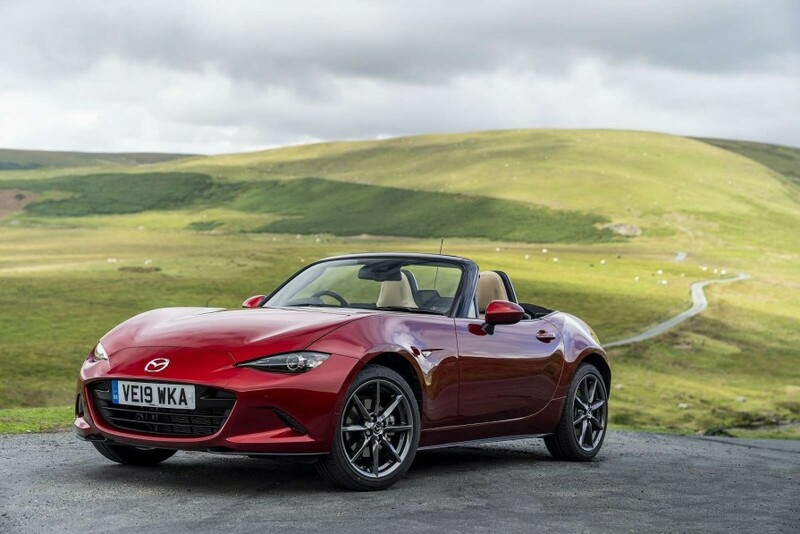 Residual values ought to hold up well, with the MX-5 a favourite amongst used car buyers due to its relative simplicity, strong reliability, and low cost to insure. "Very helpful sorted everything out I needed"
"Good have not had car delivered yetStill waiting for confirmation about 200 miles free fuel"
"Danny and Aidan at hippo were very helpful. Fantastic customer service, everything was quick. Waiting for my vehicle to be delivered now." Download the 3rd party app and get Hippo’s accurate valuation for your car now.